This was one of the key takeaways from the inaugural Women in Finance Awards, celebrated at The Star in Sydney on 21 September. 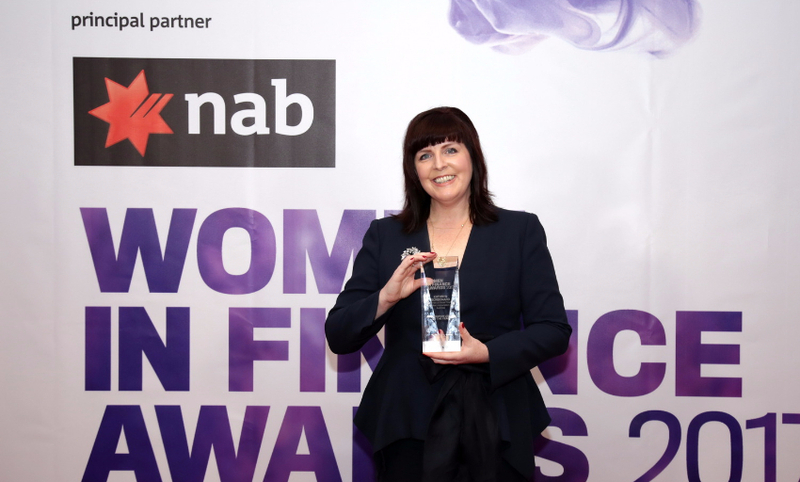 Nicole Devine, NAB general manager of performance and operations for broker partnerships, and a finalist for Thought Leader of the Year, made the comments to the 800-strong audience at the first cross-sector event celebrating women in the Australian financial services industry. While some may argue that being a woman is hardly "diverse" nowadays, women are still very much in the minority in the financial services industry. As some of the winners can attest, it wasn’t that long ago that they experienced being the only woman in the room. 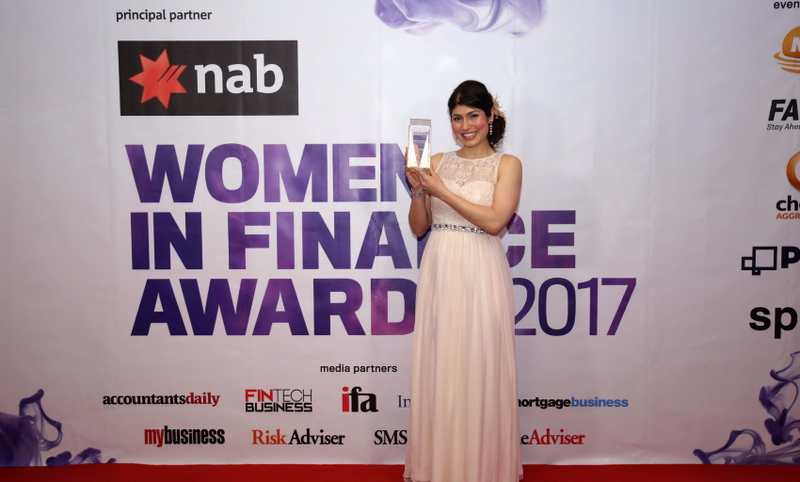 Kathryn Bordonaro, winner of Association Leader of the Year for her work as vice president of the Commercial Asset Finance Brokers Association of Australia, said: “Certainly, commercial finance broking is still a very male-dominated industry. CAFBA's membership is 92 per cent male. And I am so often the only woman in the room. While that has started to change over the last few years, it’s still only two or three women in the room, very much the minority. Ms Bordonaro added that while she hopes it gets to the point where the industry won’t need gender-based awards (as gender equality would be the norm), she added that she did not believe that she would see it in her lifetime. That’s a terrifying thought. Here at Momentum, we hope to speed up the process of achieving true gender equality, even if just a little, by championing the achievements of the incredible women who are working in the financial services industry. By rewarding their hard work and dedication, and recognising the companies who have made diversity their mission, we aim to highlight the leaders that are not only role models for women in the financial services industry but for the industry as a whole. Congratulations must go to all the winners, and to the finalists, for their hard work, dedication and excellence in the financial services industry. NAB is proud to be the Principal Partner of this inaugural event, which seeks to acknowledge the outstanding contribution and achievements of women in the finance industry. NAB is committed to supporting brokers, advisers and the broader finance industry, and this event provides a unique opportunity for us to demonstrate our ongoing support. 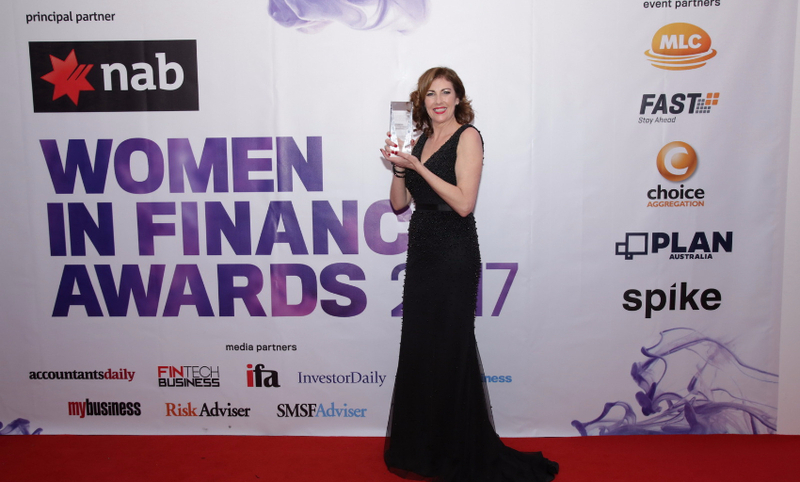 Mortgage Choice broker and owner of the Ormeau franchise Deslie Taylor was crowned Mortgage and Finance Broker of the Year at the inaugural Women in Finance Awards. Annie Kane learns what she believes contributed to her success. Taking home the coveted title of Mortgage and Finance Broker of the Year was Queensland-based broker Deslie Taylor from Mortgage Choice Ormeau. Ms Taylor was recognised for her individualised customer service, diversified approach to fulfilling her customer’s financial requirements and sterling business strategy. Speaking to The Adviser, Ms Taylor said that she was "surprised and honoured to have won". "I didn't think I would win because I don't get caught up in many industry events or the golf days or race days that the lenders put on, and I honestly thought that you got awards by keeping up appearances. So, I'm very surprised, but it shows that hard work pays off." According to the Mortgage Choice broker, thinking outside the box in terms of training has helped her achieve greater client outcomes. Ms Taylor explained: "I've done some emotional intelligence training with the team, which meant I could recognise my own flaws and see how my actions are perceived by others. It made me really aware that I might not always come off the way I intend. That has helped me really grow personally and it has enabled me to be able to communicate with my clients in a much more productive way. "It helped me better understand my clients and how their personalities are aligned, which meant that I can now help them in the way that they will understand and in a way that they want to be helped, instead of treating everyone the same." Ms Taylor said that the training also benefitted the staff, as they could better interact with customers and each other. Another aspect of her success, she added, has been diversifying into other areas and offering more services to clients. "I started writing asset finance in the last year, and it has been fantastic for the business," she told The Adviser. "I'm probably writing two car loans a week and it's really easy. So, now I'm looking to encompass everything and offer our clients car financing. It's not a hard sell, but it's just letting them know we offer it and from there we have the option to refer to a financial planner as well just to make sure that the clients understand everything. "So, we look holistically at their entire financial history and situation, and our Mortgage Choice financial planner partner can help them move on the next stage of their life sustainably." The broker, who had been a sole operator until last year, added that training up her loan processor for six years meant that taking her on as a broker was an easy decision to make, and is one of her proudest achievements. While Ms Taylor said that she doesn't think of herself as a feminist, she believes that the female-specific awards "give credit to women and empowers women". "I really, truly believe that it takes away the stigma of the boys club mentality in finance, and it was an amazing event." She concluded: "The ratio of women to men in the financial industry is far outweighed, and it was amazing to recognise the women for the good work they are doing." Broker and director of Rise High Financial Solutions Marissa Schulze was awarded the Young Leader of the Year, with judges praising her work on improving financial literacy through her volunteer work and Rise High Rookies initiative. The Young Leader of the Year category recognises women under the age of 35 who are working in finance and shaping their business performance and value. The winner for 2017 was SA-based broker Marissa Schulze, director of Rise High Financial Solutions. Ms Schulze was particularly recognised for her work on organising the volunteer project Rise High Rookies, which teaches schoolchildren and teenagers “essential life and money lessons”. Speaking of the project, Ms Schulze said: “I genuinely care about what I’m doing; I’m not doing it for the money. I genuinely love helping people and I love mentoring and coaching my team. I love the difference that we can make in clients' lives, and the fact that the business is at an established point now where we have the resources and the capabilities to be able to go into schools and teach about financial literacy. Touching on the awards program, Ms Schulze told The Adviser that she thought it was a “real shame” that the finance industry was still male-dominated, adding: “I think that females make fantastic mortgage brokers, fantastic accountants, financial planners... and I think celebrating women in these industries will hopefully enable us to grow the female percentage in this space. “I think the industry could do with more women. So, from my perspective, the appeal was that we're celebrating women and also the fact that it was bringing all financial services together. However, the young broker said that she was “really excited and a bit surprised” to have won the award, but added that she was only able to achieve what she has thanks to her support network. She said: “Having a support network is essential, no matter what career you choose, but particularly so if you are going to be a business owner. I wouldn’t be able to do it without the support network that I have, which is my family, my husband and the team that work with me. Those people are essential in helping me to go on this journey and take Rise High where I want to take it. “A passionate expert focused on the success of her business, fused with an undeniable commitment to enabling women to flourish. An extremely strong all-round candidate who has succeeded in a medium-sized SME. A great role model for women in finance. 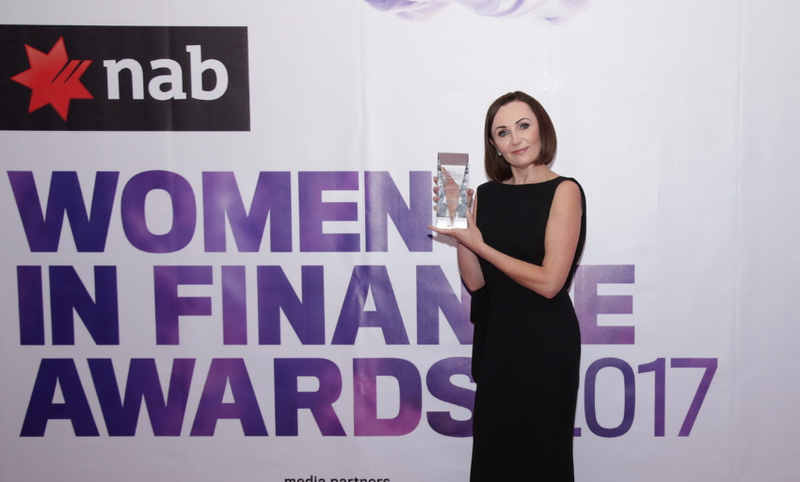 Director of Brisbane-based Home Loan Connexion (HLC) Tracy Kearey was crowned Principal of the Year at the Women in Finance Awards, in a category that had a strong representation from the mortgage industry. Annie Kane finds out more about what sets Ms Kearey apart. How did you feel about winning the award? I was in complete shock. I just couldn’t believe it because I was in such a high-calibre category with so many amazing females. I know Mhairi MacLeod very well and Katrina Rowlands does some amazing things in her community, and with 10 finalists in the category, I was up against some really great competition. So, to come out on top, I felt totally humbled to win. I’m still pinching myself that I’ve taken out the award, but I just feel extremely honoured and very proud of my achievement. It reinforces that I am very passionate in what I do, and to know I’m on the right track is very humbling. Why is celebrating women in finance important? While there is much talk by businesses about the desire to create female-friendly workplaces, there is a long way to go before this is a reality across many industries, and the barriers are systemic. Reshaping a culture of entrenched obstacles, structural biases and unhelpful stereotypes in workplaces requires management to have vision. None of us can afford to drop the ball when it comes to gender equality and diversification in our workplaces. Women represent 51 per cent of the population and any industry that dismisses their influence and economic power does so at their own peril. But, having said that, it is important to also recognise the men that also support women in this industry. It takes a tribe for us to get to where we are, our family and friends, work colleagues and bosses, both men and women. Although we’re celebrating women in finance, I think it’s important to acknowledge the men that stand beside us as well. You have been recognised for your leadership, but how did you get to where you are today? When I first started in this industry 19 years ago, my marriage had broken down and I had a three-year-old child and a mortgage and wasn’t in a full-time career. I just didn’t know what to do. Then, one of my really good friends asked me to come and join them at Aussie Home Loans, because they thought I’d be good at it. So, I did. I worked there until 2001, when I left to work with Ian Cain and Mark Harris at Home Loan Connexion. After a while, I set up my own offices and then, in 2013, I ended up buying Mark's share of the company when he retired out of the business. Ian and Mark really helped me on my career path, as has Mhairi MacLeod, my partner at Astute Connexion; Alan Hemmings (general manager of Oxygen Home Loans); Stephen Hale (head of marketing and communications at the MFAA); and Glenn Gibson from AMP Bank. What do you most enjoy about being principal? I absolutely love, and am so passionate about, what I do. I get to work with my brokers and my clients and assist people with their financial requirements. I’m so lucky that I get to work with people who want to be a part of this industry and have the same philosophy as me. We do what we do because we enjoy it. But it can be quite isolating and lonely being a mortgage broker on your own. Fortunately for me, I have a lot of brokers in my group who I work with and talk to on a daily occurrence, but I also speak to brokers, both male and female, that I mentor, in a way. I’m available to them if they need any assistance, because I know it can mean a lot to know you are not alone. In this industry and in this career, it makes a difference having someone to give you comfort in what you're doing. For me, working with other women and new-to-industry brokers, both male and female, and watching them succeed is one of my greatest pleasures. I love that I can be a part of someone else's success. How else do you support your team? I recently suffered from an anxiety attack, and it really reinforced to me how important your health is. We do a huge amount of work and are often under a huge amount of pressure, both in our professional lives and in our personal lives. While we all put a smile on our faces at work, it can be an effort just to get there. In my experience, if there is somebody available to speak to, it can just change your day and make it that little bit more manageable. Mental health issues are happening, and we just need to be aware of it and support each other where we can. So, we’re developing a mental health programme at Home Loan Connexion where we'll be bringing in a counsellor who can address our group at our meetings and do some webinars and blogging on our website and social media. That way, we can offer our team someone to speak to if they need it and offer financial assistance with that as well. Asset finance broking is one area of finance that seems to still be male-dominated. How did you get into asset finance broking? Certainly, commercial finance broking is still a very male-dominated industry. CAFBA's membership is 92 per cent male. And I am so often the only woman in the room. While that has started to change over the last few years, it’s still only two or three women in the room, very much the minority. I’ve always been in a male-dominated environment though. Growing up on the farm, my father had an earthmoving business so I was very used to dealing with tractors and trucks and graders and bulldozers; it was a natural environment for me. When I left school at 16, I started working in a truck dealership and then moved into an administration at the ANZ bank. After 12 years with the ANZ, in a variety of roles, I started my family; and when I went back to work, it was in administration for the motor vehicle industry. It was there that I ended up selling motor vehicles, and fleets of them, but when I asked what the commissions were, I was told that because I was admin, I wouldn’t get paid commission. So, that helped me make a career discontent, and I resigned the next day. Then I started in a broking firm as an employee in commercial asset finance. And that's been my spiritual home ever since. I now run Allbiz Finance Brokers, a commercial broking arm I started with some good friends in the industry. How did you get involved with CAFBA? When the NCCP was being brought in, around 2009, there was a proposal to extend it from the consumer credit space to the commercial finance space. But these two things are very, very different operation spaces. The way you assess the credit is very, very different — in consumer credit, you are backwards-looking; but with commercial, you are forward-looking in your credit assessment criteria. The worry with the proposal was that they wanted to pretty much cut and paste that consumer legislation into the commercial space, which would have restricted access to finance for the SME space. That would have had huge unintended consequences. I wrote a letter to CAFBA about it, and in response to that, I was asked to come along to a meeting and express or elaborate on my thoughts. From there, I found myself getting invited to apply for a position in the industry body, which I did. And I’ve spent many years on the committee and now in executive positions. How has broking helped you in your role as VP of CAFBA? I think my real-life broking experience has been such an advantage to me as an association leader because, when I go to speak with the regulator or a politician, I’m not speaking from briefing notes. I’m speaking from real life, everyday experience, from what the broking industry is experiencing, or what our clients are experiencing. SMEs employ 86 per cent of the Australian workforce, and we are dealing with them every single day. So, we know, live and breathe what SMEs are going through, and having that real-life experience has been so valuable as a communication tool in achieving results for CAFBA. What do you most enjoy about your role at CAFBA? It has led to so many wonderful opportunities and experiences, from sitting in the Treasurer's office and meeting prime ministers to meeting lots and lots of wonderful business operators around Australia. The moment when a taxi dropped me off at the ministerial entrance to Parliament House was one I would never forget. It was something I never ever thought I’d be doing. But it’s been good. Every time you get pushed outside your comfort zone, you grow a little. So, a lot of the time, I have taken those challenges on because I wanted to show the other women in the industry that, although there may be some segregation still in terms of gender stereotyping, there are women doing these roles and achieving results. If you are visible and show that you are doing it, then it is easier the next time for somebody else.